October 15, 2014 Geren W. Mortensen, Jr. 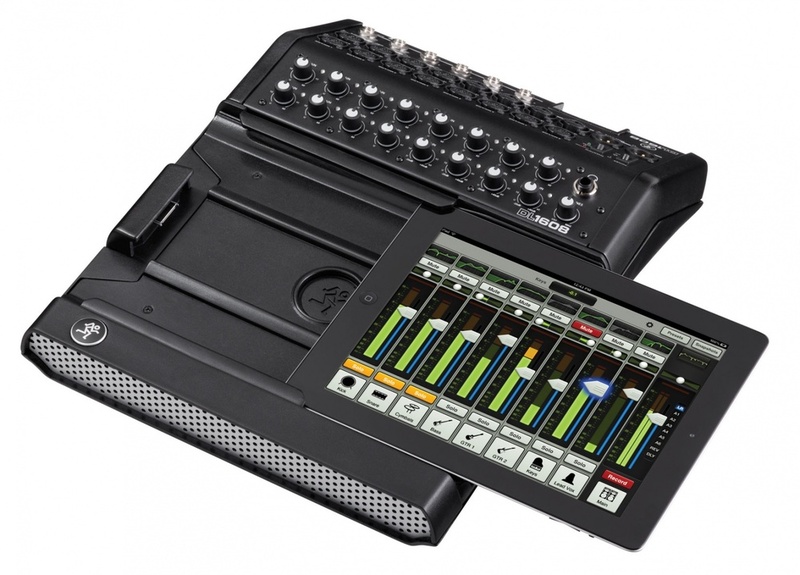 The folks at Mackie announced their newest product today, the DL32R, a 32-input, 14-output, iPad controlled digital mixing system. The webcast/webinar to introduce it was a disaster. I spent the entire half hour trying to get my connection to work. Apparently, so did most of the other folks who tried to log in and watch. Fortunately, Mackie reacted by getting links up to their web site and YouTube channel very quickly after the event. Having just bought a DL1608, I'm obviously not in a position to upgrade for a while. And, for most of the sound work I do, I really don't need to. I am, however, looking forward to November sometime, when Mackie promises the new version of the Master Fader software/firmware, as it will add a few features to my existing mixer. According to Ben Olswang, Mackie's product manager for the DL-series mixers, the new version of the Master Fader app will add 4 sub-groups and 4 VCA groups to the DL1608. From the looks of things, you'll also be able to color-code faders for easier identification, as well as be able to see and access the various channel strip sections more easily. On the DL32R, Master Fader will allow for all sorts of internal routing and patching, and access six sub-groups and VCA groups, three effects processors and more. There even seems to be a view that shows every major slider and knob on the "board" on one screen. On the hardware side, the DL32R is a rack-mount box that loses the iPad dock arrangement. There's no internal WiFi, and in my opinion, that's the way to go. WiFi specs and conditions change rapidly, and locking users into today's WiFi would be a mistake on Mackie's part. There are two USB ports -- an "A" port and a "B" port -- for direct connection to an external hard disk for multtrack recording and playback, or for connection to a computer for recording direct to your favorite DAW. So, is the DL32R on my shopping list? No, not yet, anyway. As I mentioned above, I'm not really doing jobs big enough to justify it at this point. I think my current DL1608 will hold me just fine for a good while.